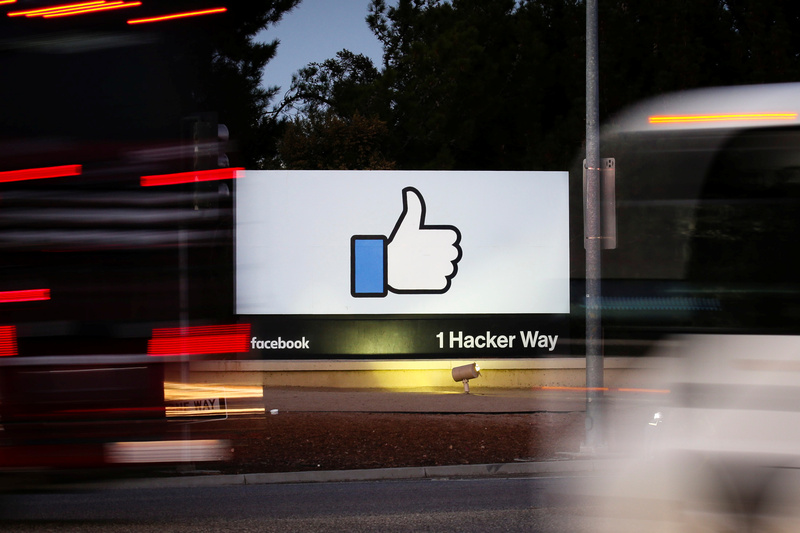 The entrance sign to Facebook headquarters is seen through two moving buses in Menlo Park, California, on Wednesday, October 10, 2018. Facebook Chief Executive Mark Zuckerberg and Chief Operating Officer Sheryl Sandberg ignored and then tried to conceal warning signs of a Russian-backed campaign to use the social network for spreading fake content and meddling in the 2016 U.S presidential election, the New York Times reported on Nov. 14. On Nov. 13, Amazon announced that it will split its second headquarters between New York City’s Long Island City neighborhood and Arlington, Virginia, adjacent to Washington, D.C. The company will receive performance-based grants and tax credits of $1.5 billion from New York City and state authorities and $573 million of performance-based incentives from Arlington and the Commonwealth of Virginia. The U.S. Federal Trade Commission on Sept. 13 began a series of hearings on competition and consumer protection, with a view to updating its policies in those areas. The hearings are expected to continue through January. The U.S. Court of Appeals in Washington, D.C. has scheduled oral arguments for Dec. 6 in the Justice Department’s appeal of the dismissal of its lawsuit to block AT&T’s $85 billion merger with Time Warner. The transaction was completed on June 14.